Have You Seen These Two Suspects In The Kingsborough Houses Homicide? 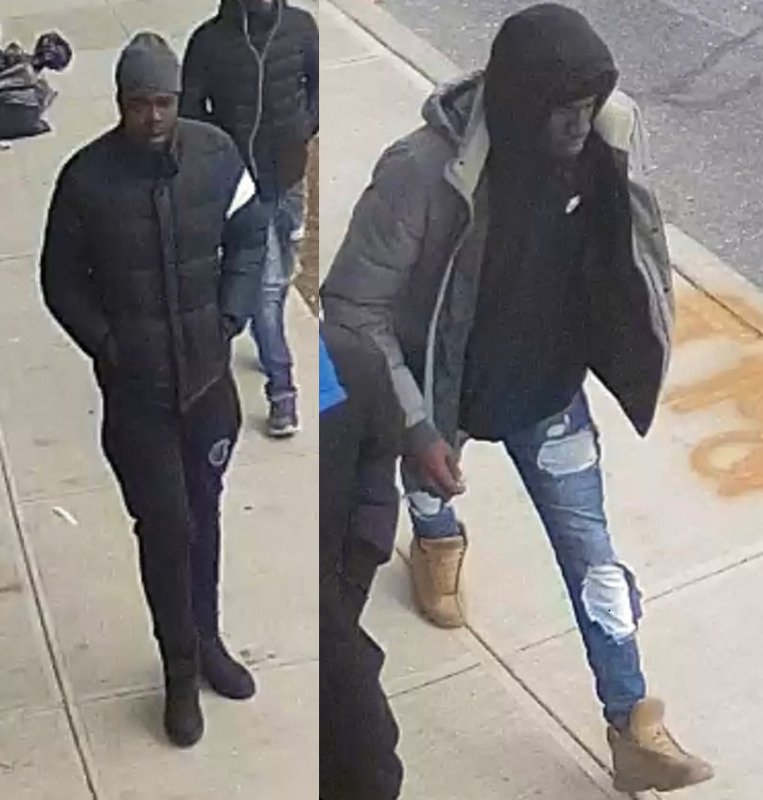 BED STUY – The NYPD needs help searching for two men involved in a homicide that occurred at Kingsborough Houses last weekend. To recap, on Sunday, January 13 at approximately 1:30 p.m., police discovered a 43-year-old man inside 219 Kingsborough 2nd Walk with two gunshot wounds. According to the cops, Phillip Scarlett was shot multiple of times following a struggle in the hallway with two men. The suspects fled the scene and headed east on Pacific Street. Scarlett was taken to Interfaith Hospital where he was pronounced dead. Suspect 1 – A black man in his 30s, about 5’10” tall, weighing 220 pounds. He was last seen wearing a gray knit cap, a black coat, black sweatpants, and black sneakers. Suspect 2 – A black man in his 20s, about 5’9” tall, weighing 175 pounds. He was last seen wearing a black hooded sweater, a gray hooded coat, blue jeans, and tan boots. Anyone with information in regard to the above incident is asked to call the NYPD’s Crime Stoppers Hotline at 1-800-577-TIPS (8477) or for Spanish, 1-888-57-PISTA (74782). The public can also submit their tips by logging onto the Crime Stoppers website at WWW.NYPDCRIMESTOPPERS.COM or by texting their tips to 274637 (CRIMES) then enter TIP577. All calls are strictly confidential.